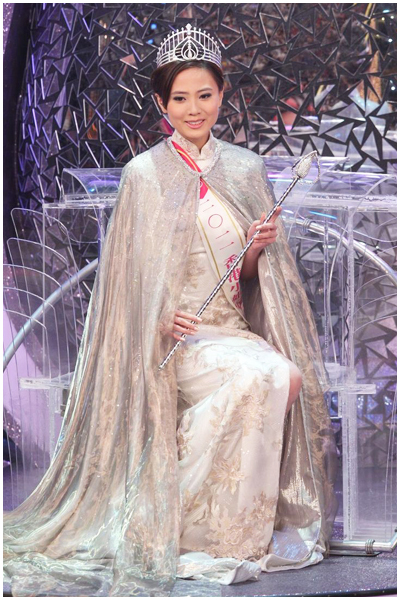 Rebecca Zhu was crowned Miss Hong Kong 2011 on August 7, 2011 at TBV City. Rebecca Zhu was crowned Miss Hong Kong 2011 on August 7, 2011 at TBV City. Rebecca is 23 year old and stands 5’6”. She will probably represent Hong Kong China in Miss World 2011 and Miss Chinese International 2011 pageant. The first runner-up was Hyman Chu. The second runner-up was Whitney Hui. Miss International Goodwill is Nicole Leung. Whitney Hui also won the Miss Photogenic Award. Rebecca is 23 year old and stands 5’6”. She will represent Hong Kong China in Miss World 2011 and Miss Chinese International 2011 Pageant.